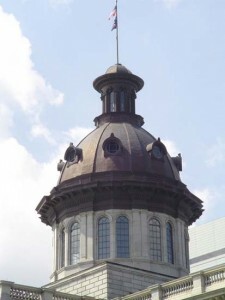 Support the FY 2016-2017 budget request of the South Carolina Higher Education Tuition Grants Commission for an additional $2.53 million for grants. If funded at the new level, the maximum per student award will increase from $3,100 to $3,200. Resist efforts to reduce or cap appropriations allocated to higher education need-based grants and merit scholarships from the levels established in the previous year’s budget. Advocate for full funding of Palmetto Fellows, LIFE, HOPE, and Lottery Tuition Assistance scholarships to all eligible students to include both lottery and general fund appropriations. Support the budget request of the Commission on Higher Education for an increase of $4.54 million in state general funds for need-based grants. The requested amount is a combination of an annualization of $2.6 million in non-recurring funds appropriated in the previous year and an additional request of approximately $1.94 million to compensate for average tuition and fee increases over the past two years. Support CHE’s budget request for $1.5 million in additional recurring funds for the Partnership Among South Carolina Academic Libraries (PASCAL). PASCAL was funded at the $2.0 million level prior to the FY 2008-2009 recession. Since that time, PASCAL has received inconsistent funding from surplus unclaimed lottery prize money. If new state revenues are not sufficient to restore core funding to PASCAL, advocate for first priority funding of $1.5 million in excess unclaimed lottery prize funds. Work with public colleges and universities to amend the statutory authority of the Commission on Higher Education to allow CHE to serve as the portal agency for SARA (State Reauthorization Reciprocity Agreement), a national agreement that will allow qualified in state higher education institutions to provide on-line courses in other states without applying and paying for individual out-of-state licenses. Support the agenda of the National Association of Independent Colleges and Universities in the broad areas of federal student aid funding, regulations, and higher education policy, with particular emphasis on the reauthorization of the Higher Education Act. The 2016 SCICU Legislative Strategic Plan and additional information on SCICU’s state and federal advocacy efforts can be found at https://www.scicu.org/advocacy/.